My son will be 3 yo in a few months and he is having great fun learning his colors. For him I created this set of 6 wooden peg dolls using some hemp twine. Each doll is a different color and I enjoyed learning some ornamental knots. The set can be used as sensory play as well as an educational set. They are mini, they are organic, they are here! You asked and we delivered: a mini size for your eyes only (or just to apply your favorite toner!). 2.5″ across. It is time to ditch your disposable cotton rounds. Super soft, naturally anti-microbial, eco-friendly. Composition: 55% hemp 45% organic cotton blue fleece. They are new in the shop, they are organic and they are super soft! Created for teething babies AND older kids (my 5 years old is wearing his brother’s in the last pic below), this is the ultimate bib for drooling kids. In blue (Limited edition) or Natural for sensitive skin. Composition: 55% hemp/ 45% organic cotton fleece. Large enough do have the job done without sacrificing comfort and softness. We have also listed the matching organic cloth baby wipes. New fabric sourced. Limited edition. Blue hemp/ organic cotton fleece. New waldorf inspired baby doll using hemp fabrics and hemp fiber for filling. A custom order: mini hemp/organic cotton fleece rounds. 2.5″ instead of the regular 4″ round. Our little one turned 5 months old and a giggling and crawling baby is extremely difficult to photograph. At 5 mo, a baby will be utterly uncooperative, putting in his mouth everything he can grasp and laughing at your efforts to stage your article “perfectly”. 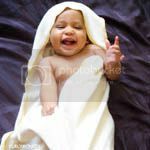 All my admiration goes to professional photographers who specialize in babies and children. My oldest son was totally up for the photo shoot though and it was overall a fun afternoon. Behind this blog is a nature loving mama of 3, passionate about crafting, green topics and nature. 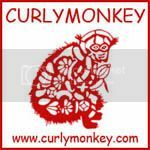 I own and run CurlyMonkey, my business dedicated to organic baby goods. I currently live in CA, but happen to be from Provence (France). Thank you for visiting!